I have been struggling with my health for a few months now, and I felt especially ill a week and a half ago. Unfortunately, I had to cancel my scheduled Valentines Card class because of it - my apologies to the ladies who registered. But, at least I can share a few of the cards I designed for the class with you here. 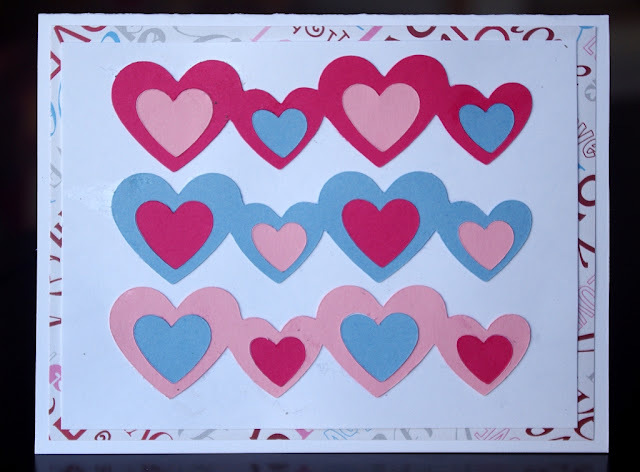 I also used solid cardstock in Red, White, Black, Taffy, Pink Lemonade and Cloud along with some basic tools (Rotary Trimmer, Custome Cutting System - oval templates, Tape Runner and Foam Squares Adhesive and various Shape Maker Punches), all from Creative Memories of course! folding them in half and gluing them back to back. Next time I'll use a ruler to line up the word stickers! 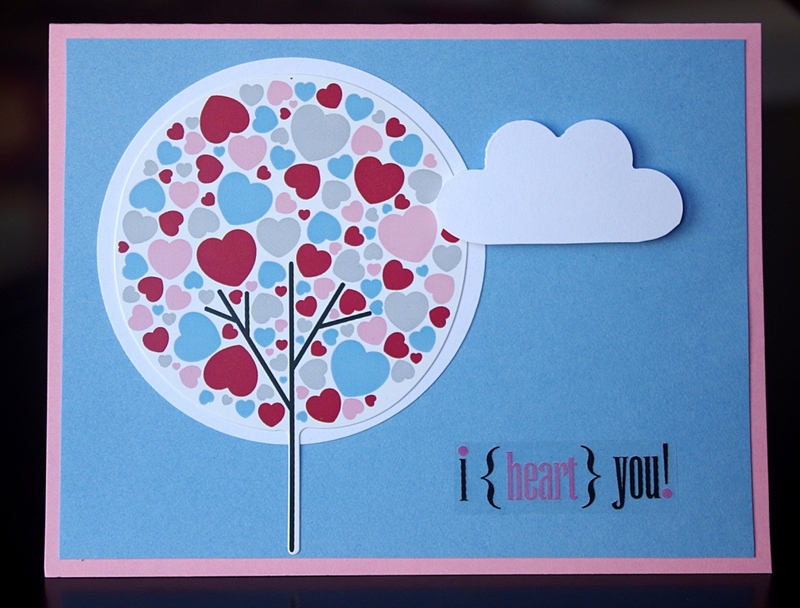 I love this tree sticker and the cloud is a scalloped circle punch, cut in half. The heart borders were cut from the new This & That Cricut Cartridge. The inner hearts pop out, so I interspersed them to create some differences in color. Custom Cutting System to cut and oval in the front side of the card in order to read it! 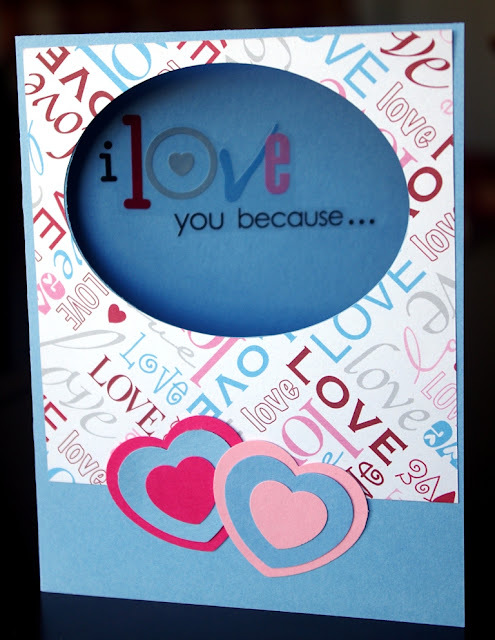 I LOVE the multicolored LOVE paper! Because the card class was cancelled, I have quite a few Cheerful Valentine packs on hand! If you would like one, contact me and I'll get it to you in time to make some of your own cute Valentine's cards!